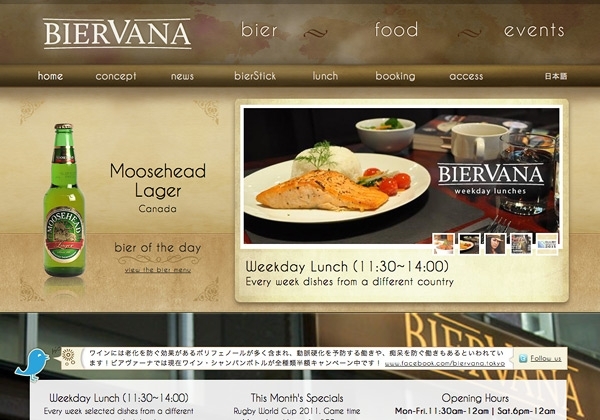 The bierVana site was a very interesting project, if for no other reason than it involved taste testing a lot of beer to "get a feel" for the brand. 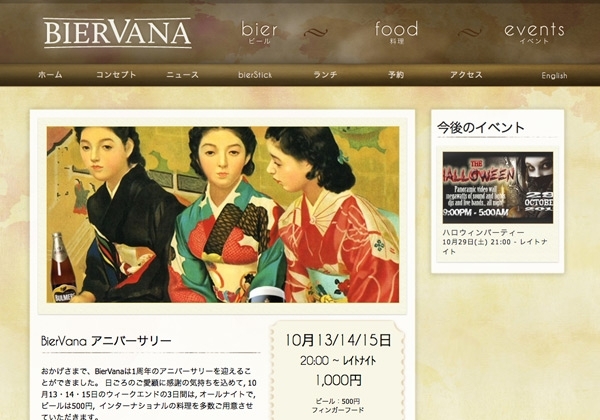 bierVana is many things to many people and this made the build a challenging one conceptually. We had to make sure beer, food, and events all got equal exposure, so to speak. 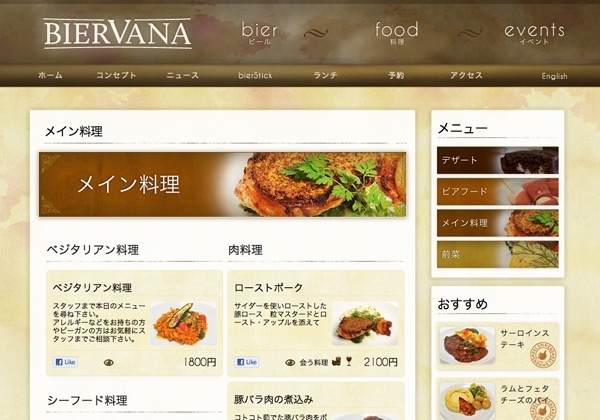 It also came with a number of special features, such as the ability for bierVana members to create background image slideshows which would resize not only to the content area but also the browser. News articles that can have image galleries instantly attached, and menu items can be individually liked over Facebook. 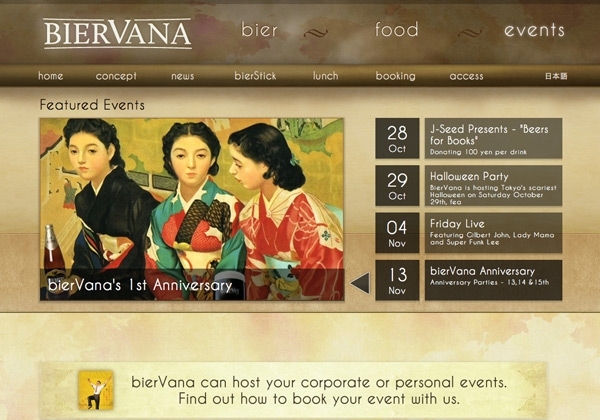 Additional touches allow bierVana a lot of control over their site, such as selecting recommended dishes and bier of the day with a simple drag and drop interface, and event information and news automatically pushed to bierVana's social media accounts to save them the extra work. 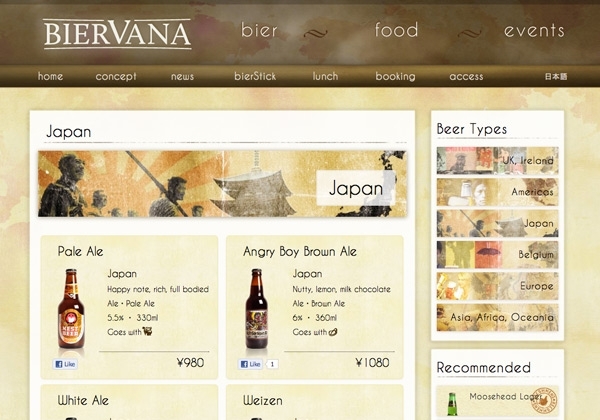 This site is another example of a Drupal CMS build with social media integration and a beer database on the back end. And like all our Drupal systems, it's easy for the good people at bierVana to update.